Ooh! The Rock 'N' Roller Coaster queue! I just noticed them for the first time on my last trip, even though I've been in that room plenty of times! the offices of GForce records of course! 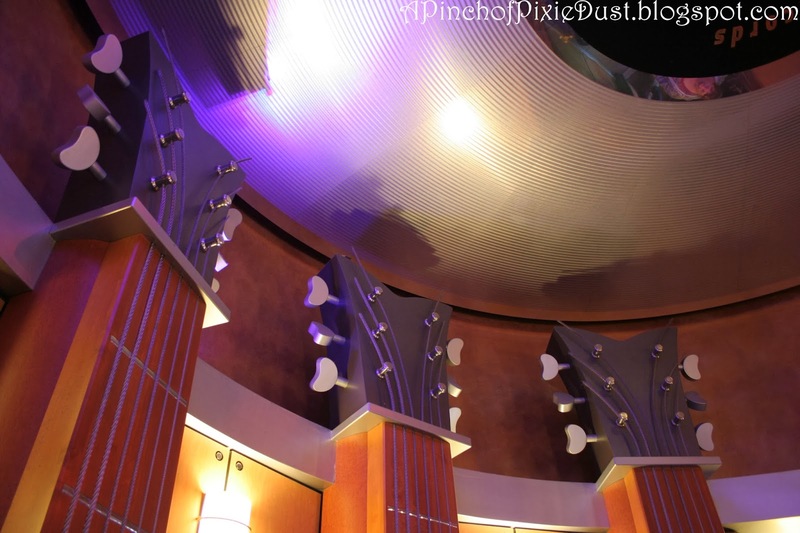 and of course not only are the columns mimic guitar necks, but the ceiling is grooved like a record.